Over the course of the year we host hat making classes so you can learn a new skill and leave with a finished hat. Each class focuses on particular styles, materials and techniques. You’ll be shown examples of the selected styles before deciding how to personalise your design. You’ll then be guided through the process of making with step-by-step instructions. On the one day class you will focus on a particular style and leave with a fully completed hat, finished to a high standard. 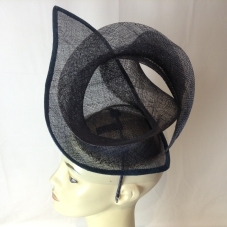 The two day millinery schools in Spring, Summer and Autumn offer a more in-depth experience, where you will have time to experiment more and create more than one model over the two days. Basic hand-sewing skills are the minimum requirement to attend one of these classes. Class sizes are limited to small numbers, to ensure a good teacher/student ratio. All hat making classes are held at Hat in the Cat, 2 Main Street, Perth, and run from 10am-4pm on the days indicated. To make a booking, please use the link to this Booking Form (opens in new tab or window). Please contact Jeanette on 01738 624213 or j@sendler.co.uk if you have any questions. Sculpting with sinamay, create your own freeform shape, which you will wire, edge and trim with flowers, organic sinamay shapes, pieces of jewellery or feathers. The finished piece can be fixed onto a headband, comb or clips depending on hairstyle or individual preference. Create a shape on the sewing machine using stitched straw strands and learn how to produce either a regular disc or a more organic shape. Using wire to add height and rigidity can extend your design choices. Trims can be made from straw and sinamay in the shape of fans, cockades and flowers. A comprehensive introduction to traditional millinery tools and techniques, but with a contemporary approach to design. You’ll sample a range of media, including sinamay, felt and buckram, and make and trim two hats of your own design. 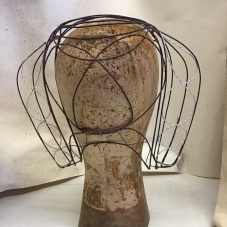 Learn how to make a wire frame as a foundation to support lace and organza for 1920s hats, and apply fabric and jewels. Ideal for professional milliners. Find out more. Learn techniques to create intricate hand-shaped and tinted silk flowers from a world-renowned costume-maker/designer. Perfect for professional milliners and costume-makers who want their trimmings to be as bespoke as their garments. Find out more. An opportunity to explore vintage millinery from the 1940/50s. You will look at hats and headpieces using traditional styles and techniques and then make a headpiece according to your own design. 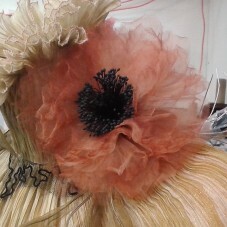 You will gain skills required for blocking and shaping buckram, wiring, draping, lining and trimming. Use tweeds, woollen fabrics or cotton velvets to make a 1920s cloche in three pieces with an added brim, a soft velvet turban in a choice of patterns, or a stylish pillbox hat made of a crown with three pleats for extra volume. A comprehensive introduction to traditional millinery tools and techniques, but with a contemporary approach to design. 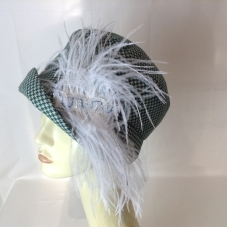 You’ll use flat patterns to construct pillbox, cloche, bakerboy or wide-brimmed hats. Perfect for cold, wintry days! At the larger Big Cat Textiles based in Newburgh Fife we offer a comprehensive program of textile masterclasses taught by the world’s best textiles artists. You can find the Big Cat masterclass schedule here.